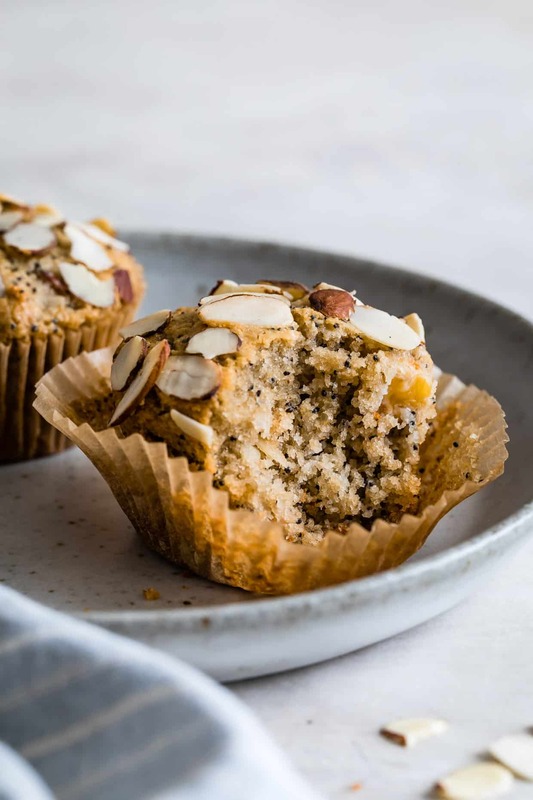 This almond flour muffin recipe uses oat flour for a healthy gluten-free muffin base that can be easily adapted! 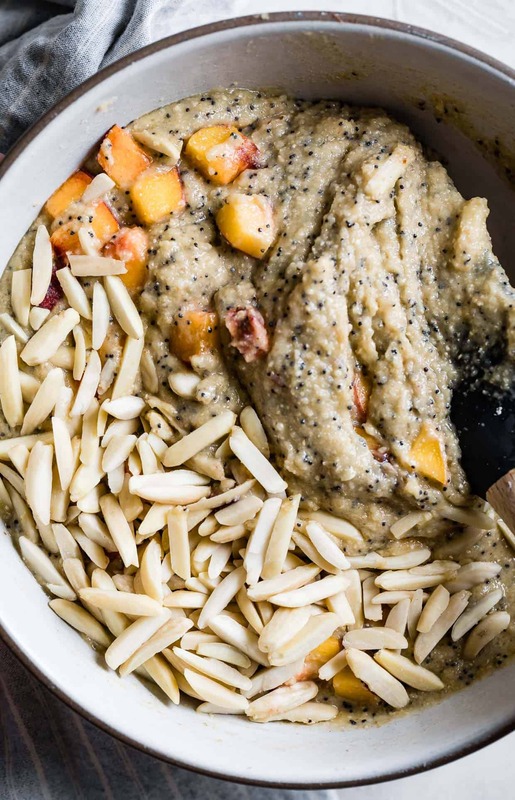 This variation combines crunchy almonds, poppy seeds, and sweet summer peaches. 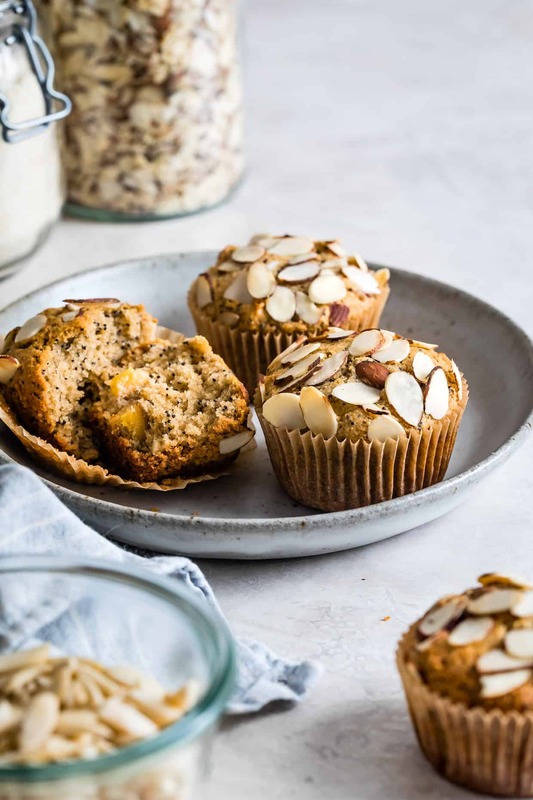 These poppy seed almond flour muffins with peaches make a quick breakfast with loads of texture and flavor. With both a toddler and an infant in the mix, I need to keep a supply of grab-able options handy if I want to feed myself breakfast before noon. 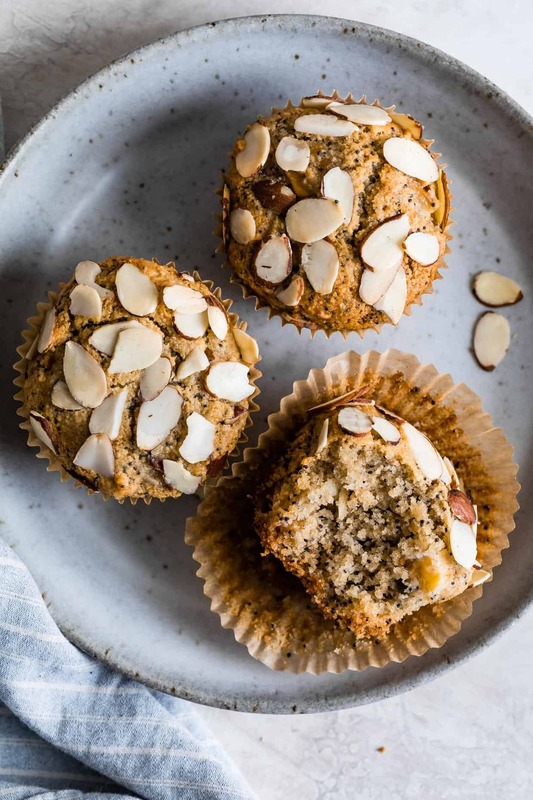 A batch of these poppy seed almond flour muffins with peaches do the trick. The day we got home from the hospital with Ira last month, a neighbor brought over a batch of homemade gluten-free muffins. Those muffins gave us fuel early in the morning and while rocking the baby in the middle of the night for a solid week. While I’ve always shown up to meet a friend’s new baby with a tray of mac and cheese or lasagna, I might adjust that now. Freshly baked muffins make an excellent gift for new parents. A lightly sweetened muffin treat can do wonders for sleep deprivation. 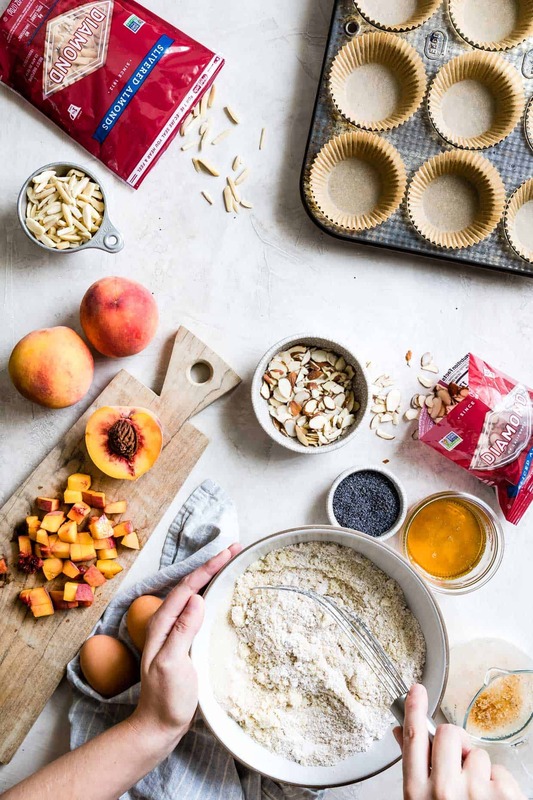 These poppy seed almond flour muffins with peaches are the first recipe in a year-long partnership with Diamond Nuts. I’ve written about my family connection to almond and walnut orchards in the past. Growing up as a Northern California native where the almond orchards greet you for miles on your way into town, family-owned nut orchards were a predominant fixture of my childhood. As an adult, I’m realizing just how influential that experience was on me and how large of a role nuts play in my own cooking and baking. Take my freezer, for example. In my two-tier freezer drawer, the entire top shelf is dedicated to nuts. NUTS. Yes, I realize that nuts don’t need to be frozen, but I’ve got such an assortment that I keep them there to stay fresh. This way I don’t have to toss out any stale nuts that got lost in the back of a cabinet. Plus, that’s how my mom did it, so that’s just how its done, obviously. Just in the almond collection, I’ve got whole raw almonds, toasted almonds, marcona almonds, slivered almonds, sliced almonds – all snuggled into my freezer drawer. And that barely touches the lot. So, it seems, I squirrel nuts in my freezer. 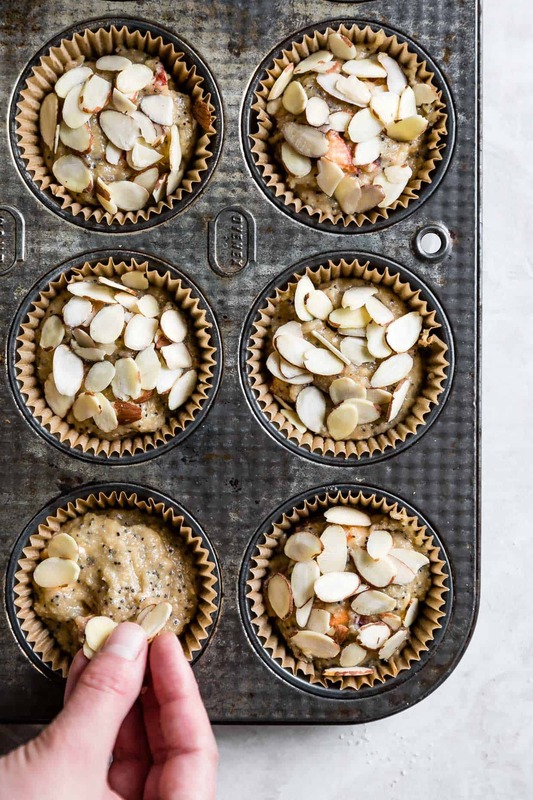 In my defense, I’m always prepared to make these almond poppy seed muffins. 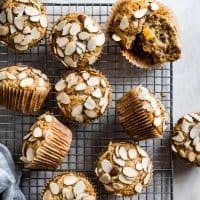 When the welcome new baby muffin supply from the neighbors ran out, I baked a few batches of these peach poppy seed almond flour muffins for our week of breakfasts. 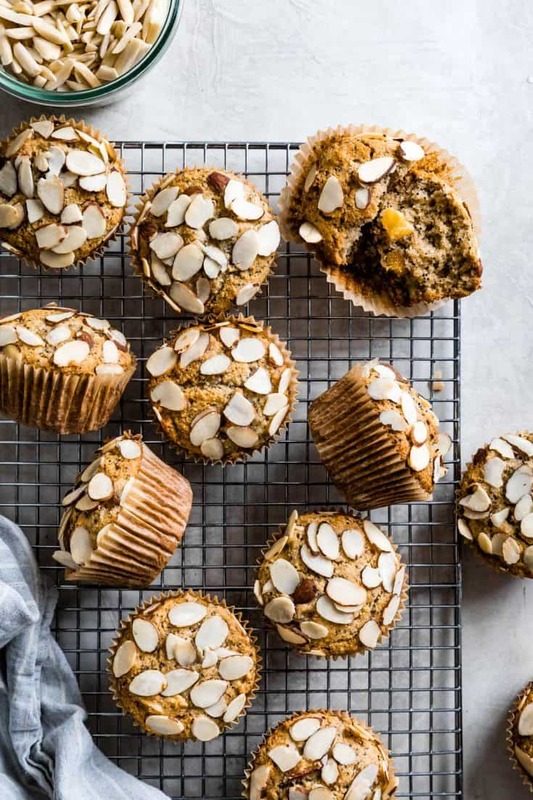 Using only pantry-staples (or freezer-staples, as the case may be), these protein-rich muffins take you on a textural adventure. 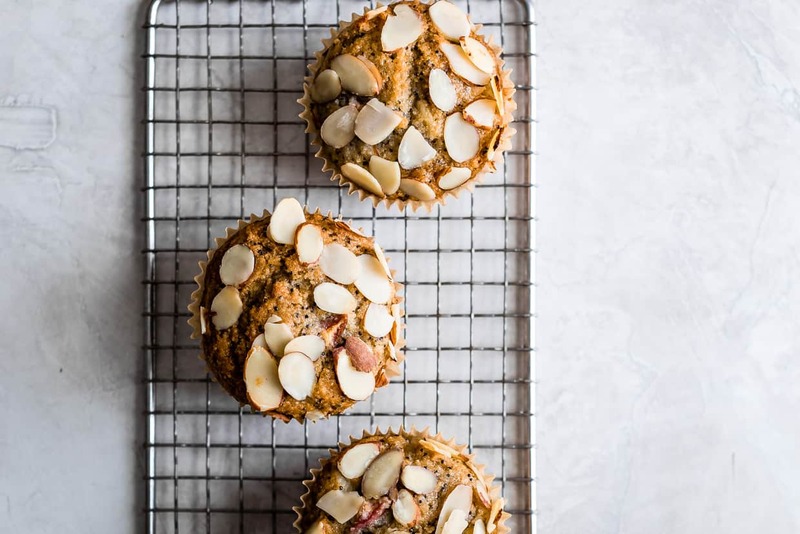 Cake-like muffin base, crunchy slivered almonds studded throughout, pockets of soft peaches, and crispiness from slivered almonds and poppy seeds. To squeeze in time between toddler and newborn to make muffins, I roped Zoella into baking muffins with me. Her excitement for baking muffins ramped up while she grabbed our matching cat aprons and peaked just as she finished eating all the slivered almonds and chopped peaches leftover after measuring. She just as quickly left me to play lead chef in her own play kitchen. We later traded our creations – one almond flour muffin for one pot of animal puzzle pasta. “Here you go Mama, it’s dinner. Don’t eat the animals, Mom – just pretend!” Noted. 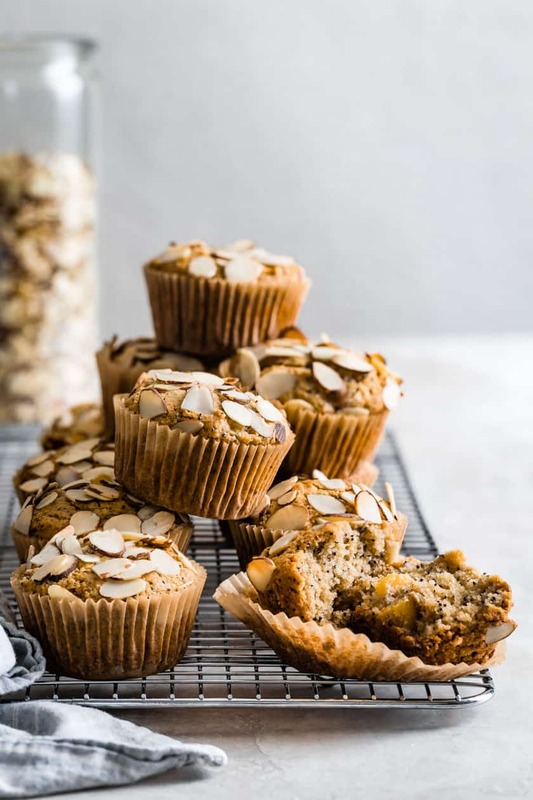 The gluten-free base for these muffins comes from a combination of almond flour and oat flour, with the oat flour creating the cake-like crumb. 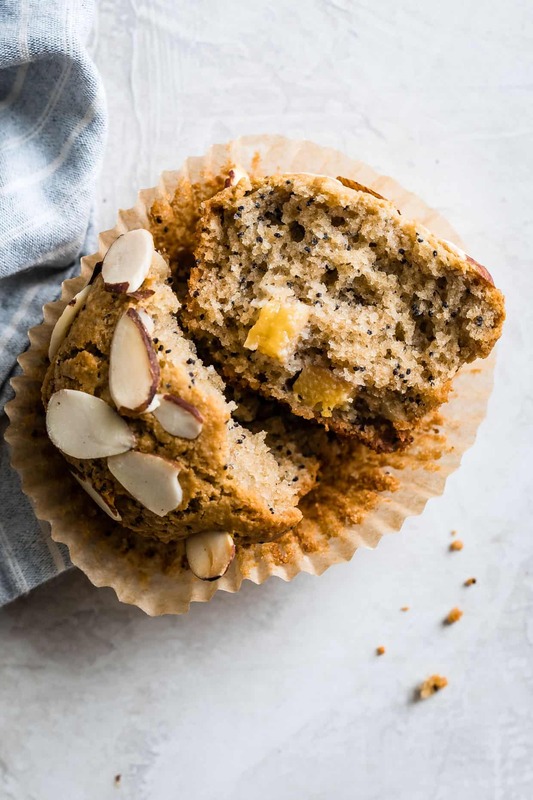 To stay on the healthy side of the muffin divide, the muffins are lightly sweetened, with honey used for half the sweetener. These are the required elements and the rest can be adjusted and adapted to your pantry or season. Here I’ve added poppy seeds to intensify the nuttiness, but they muffins will still bake up if they’re left out. Chopped peaches are folded in to give a burst of summer freshness, but if they’re out of season, sub in frozen blueberries or leave them out entirely. Though note that without the fruit, your muffins will be moderately smaller. To create a true almond muffin, I’ve used slivered almonds for crunch inside with sliced almonds baked on top for crispiness. Feel free to get creative here. 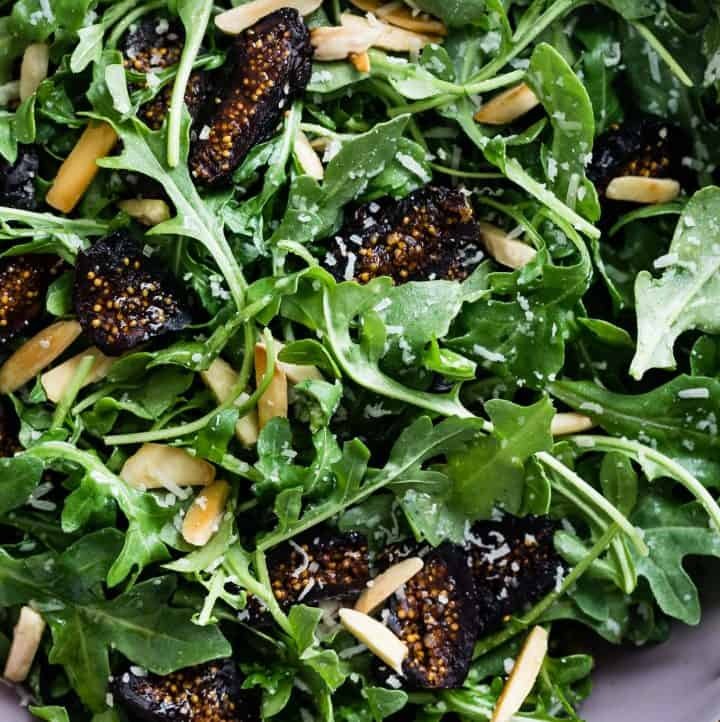 For a fall variation, leave out the poppy seeds, swap in maple syrup and chopped apples, and trade the almonds for chopped walnuts or hazelnuts. If you keep a Diamond Nut supply like mine, these muffins are rife with possibility. Perhaps my obsession with poppy seeds comes from nostalgia for the store-bought almond poppy seed muffins we took camping growing up. Many sources will tell you that poppy seeds offer only texture and no flavor in muffin. 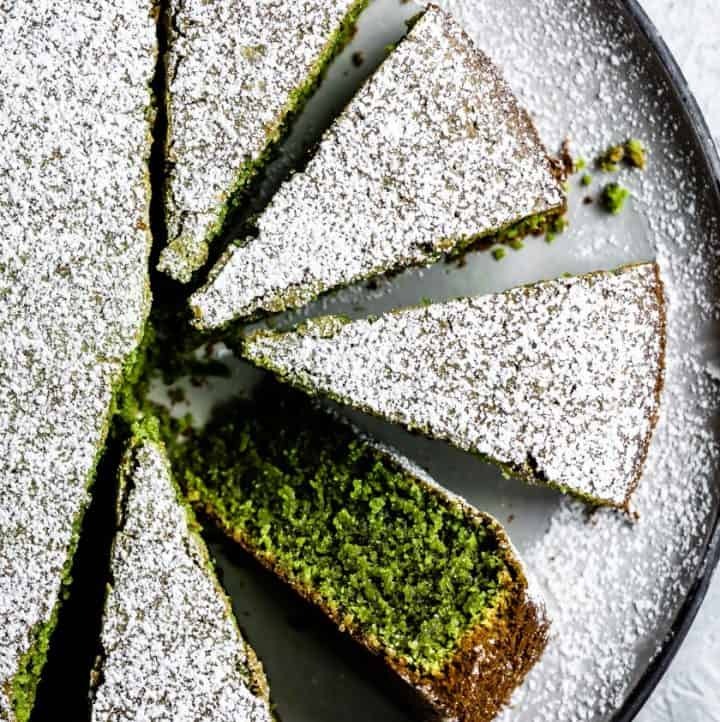 While the texture is a definite bonus, there’s a key to extracting the nuttiness from poppy seeds. Soaking poppy seeds in the liquid ingredients will intensify and bring out their woodsy nutty notes. Alternatively, so will grinding them, but that won’t leave you with the classic polka-dotted muffin you desire. Preheat oven to 350°F and line a muffin tray with 12 liners. In a measuring cup or small bowl, whisk together, milk, oil, honey, eggs, poppy seeds, vanilla extract, and almond extract. Let soak for 5-10 minutes, which will allow the nutty flavor of the poppy seeds intensity during baking. 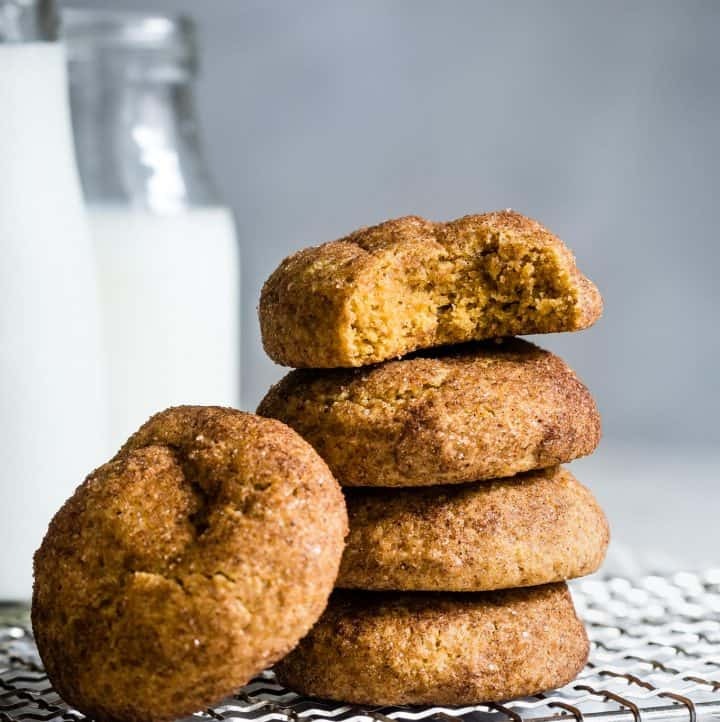 Combine almond flour, oat flour, sugar, baking powder, baking soda, and salt in a large mixing bowl. Add the poppy seed milk mixture to the dry ingredients, using a rubber spatula to get all of the honey out of the measuring cup. Whisk until just combined. Fold in the peaches and slivered almonds until evenly distributed. Scoop 1/4 cup of batter into each muffin liner. 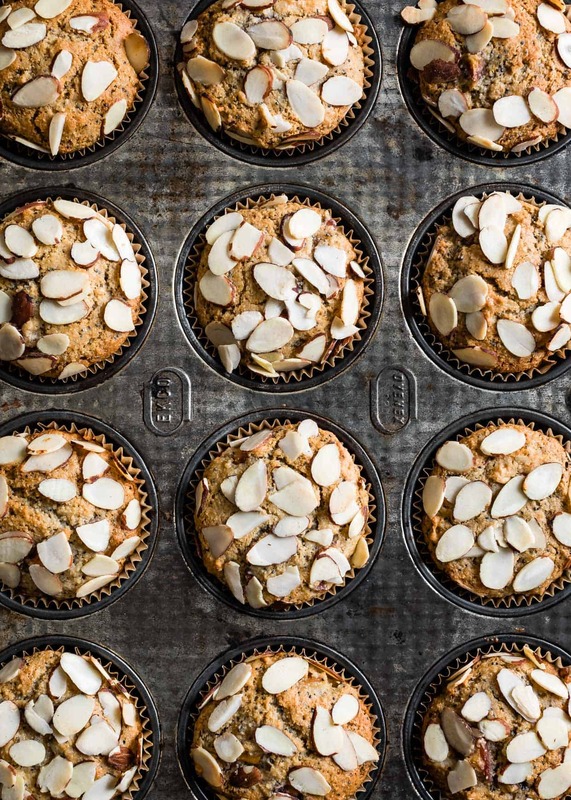 Divide sliced almonds over the top of the muffins. Bake 24-26 minutes, until a toothpick comes out dry or with just a few moist crumbs, rotating halfway through. Let cool at least 10-15 minutes before removing from the muffin tray. *I make my own oat flour by finely grinding gluten-free oats in a food processor or blender. **If peaches are out of season, sub in frozen blueberries! Thanks for reading Snixy Kitchen! 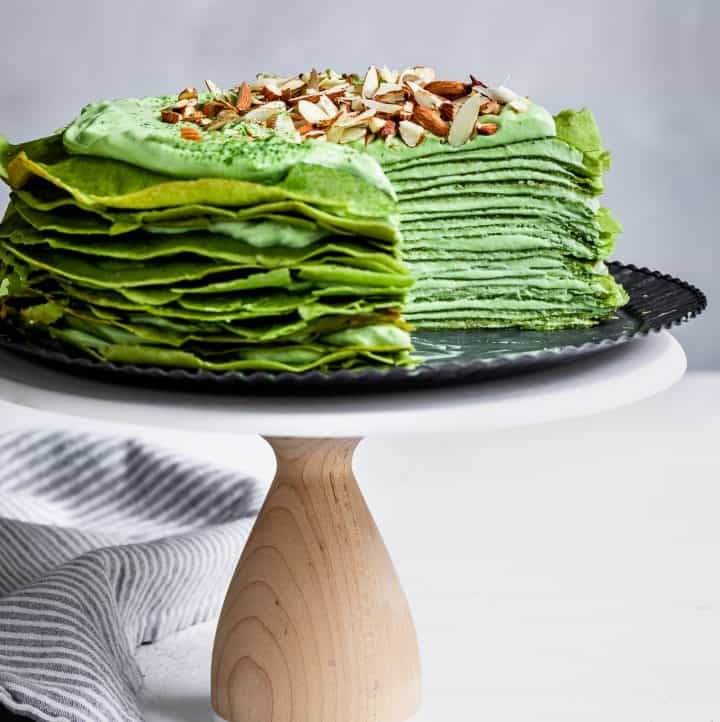 To stay up on what’s coming out of my kitchen, follow me on Facebook, Instagram, Twitter, Bloglovin’, or Pinterest, or subscribe via e-mail to get new recipes right to your inbox! Is it weird that I’m excited for my friends to have babies so I can cook for them? I’ll have to keep the idea of fresh muffins in mind! These look wonderful! I love the idea of the poppy seed crunch! Oh how I wish I were close enough to make you some late night snack muffins! Of course, it looks like you have them pretty beautifully covered. These are gorgeous! Sending love.